Do you believe that the more followers the better? What’s more important than the number of followers you have on social media is who those followers are and what they will do. You don’t use social media to gain followers, right? You use social media to help you reach your end goal which is to sell more. Sure, you use social media to help increase brand awareness, build relationship and gain trust, but all of those things eventually leads to sales if you’re a business. And without them, you’ll have a hard time selling anything. To understand what type of followers you have, and to change your mindset from gaining as many followers as possible — no matter their quality, we’ll look at how you can monitor your followers to drive followers that are more than just a number in your profile. By knowing who really follows you, and learning what people are behind the accounts that are following you, you can gain quite a lot of insight into what your social media does for your brand. Better yet, how you really perform on social media. How you can gain more followers that actually matter. Most brands’ put their focus on gaining more followers, but that means neglecting one important part of social media marketing. Managing and taking care of those you’ve already got. If you think of your followers like customers, you’ll have a completely different mindset to what your followers really are worth. If you don’t take care of your existing customers, and show that you value them, they’ll go to a competitor of yours who treat them with the respect they deserve. Sure, gaining new followers is important, and so is acquiring new customers to grow your customer base. We’ll look a little deeper into this in a moment. If you look at the statistics about customer retention, it’s quite clear that quite a bit of your efforts should be put towards customer retention. The probability of selling to an existing customer is 60-70 percent, as opposed to the probability of selling to a new prospect which is 5-20 percent. 80 percent of your future profits will come from only 20 percent of your existing customers. While your existing followers might not yet be customers of yours, you have still introduced them to your sales funnel. This means that those followers are way more likely to purchase from you than people who have never heard of your brand. The last statistic is the one that shows us that even though taking care of your existing customers (and followers) is important, it doesn’t mean you should stop chasing after new ones. On social media, it means attracting new followers. It’s quite interesting how followers on social media works in a similar way of how your customer works. But if you think about it, it’s not strange at all! The people who are your followers on social media is your customers — and potential future customers. The typical American business loses 15% of its customers each year, and if you don’t take care of the people who follow you on social media, the same will happen with your followers. Think about that, because those two things are very well connected. Now, I am not going to talk about every single reason to why you are losing followers on social media because then we’d be here for a long time. Just know that no matter how well you are treating your audience, you will lose customers, and you will lost followers. You shouldn’t sit and count every single person who unfollows on social media because that would only drive you mad. However, what you should do is to look for trends in the “why” people are unfollowing you. If you aren’t addressing a serious issue that may be the reason to why you are losing followers, you might realize it when it’s too late. If you notice that a very loyal customer unfollows you — or that several highly engaged people stop following you on social media, it may be something to look into. 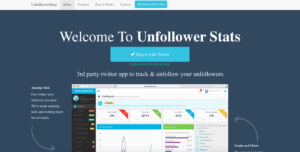 There are several tools to use in order to see who unfollows you, and depending on which social platform you use, you want to opt for different tools. A simple Google search for “Track unfollowers social media” will do the trick. luckily for you, I’ve already done the trick. Just click the link above. As I mentioned earlier, looking to acquire new followers isn’t something you should neglect completely. In fact, you should put quite a bit of effort into gaining new followers as well. By tracking the followers you gain, you can see if you are reaching the goals you’ve set (many brands set follower goals to reach within a particular time frame). Just like unfollows, you want to look at trends in your follower growth on social media. It’s important to look at the big picture rather than focusing on the small details. If you see a rapid increasing in followers during a period of time, it can be because of many reasons. May be some of them. 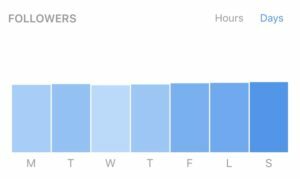 With Social Blade, you can see your follower growth over time on Instagram, Twitter, and YouTube. As a result, you might be able to see make some interesting observations. Some of which you might be able to recreate. Now, we’ve only scratched on the surface when it comes to understanding your followers. But it is when you dig deeper you’ll find the golden nuggets filled with tons of information. This might seem like a lengthy and time-consuming task, but with the right strategy, you’ll do it in a heartbeat. Now, social monitoring doesn’t mean stalking your followers and following every move they make. Social monitoring and listening is innocent and an important part of collecting data about your followers. Most brands with a strong social strategy do this, and if you don’t yet do this on a regular basis, today is the day to start. By understanding your audience better, you can share content that is more suitable to their needs, better solves their problems, is more appealing to them, and makes your brand more relevant to them. It’s exactly the same principle when you get to know a person. When you don’t know them, you may talk about more general subjects that aren’t very subjects. However, when you know them, you can talk about subjects that pull their heartstrings and increases their trust and improves your relationship. What are your audience talking about? Are they talking about your brand? Who are the people who are most engaged in your brand – and why? Who are your most loyal supporters that talks about your brand? A simple yet very effective way to find people who are talking about your brand is to search for hashtags that circulate around your brand. Thankfully, most social platforms have hashtags so this method works across most social platforms. Begin by searching for your brand name in hashtags. For example, a quick search in Instagram hashtags for the term “CocaCola” gives me over 5 million posts. All of which have been shared with the hashtag Coca-Cola. If Coca-Cola would take to monitor some of the posts that can be found there, they would get access to quite a lot of information about their customers’ experiences with their products. And most importantly, who those customers are and what Coca-Cola can do differently in their social strategy. If you have a long brand name, or a name that is hard to spell, it’s not uncommon that people misspell the hashtag. Searching for hashtags with common misspellings is, therefore, something that I recommend so you don’t miss out on valuable data. Coca-Cola, which isn’t very hard to spell still have plenty of posts with variants of spellings. The hashtag “Coca-Cola”, for instance, has close to 32K posts. That’s 32K posts of valuable information from your audience that they can collect. When are your followers most active? Something you also want to study is when your followers are most active. Not only does posting at times when most of your audience are online give you a higher engagement. It also lets you know when your audience is approachable and ready to engage. Of course, the times your followers are most active have a lot to do with where your target audience is from, and what time zone they are in. Thankfully, most social platforms have built-in analytics that lets you know when your audience is most active. They also have demographics of your audience. (More on that later). Knowing where your followers are located helps you create content that is more relevant for them. For example, if you share a post saying good morning when it is actually noon for them, you might create confusion. If you are a brand who only targets a few countries, the demographics of your followers is highly relevant. Even if the location of your customers isn’t that important, your strategy should still include information on what continents or locations are the most relevant to you. Of course, demographics does not only include information on where your audience is from. It tells you things like the age of the people who are following you, and what their gender is. By getting access to this data, you can compare it to your strategy and your initial plan of who your core target audience is, in order to see how well your existing followers fit in the frame of your ideal customer. How your follower demographic look is a great reflection to how well you are executing your strategy. If your follower demographics is a copy of the people you are trying to target, it’s a sign that you are doing a great job in sharing content that appeals to them. On the other hand, if your follower demographics don’t look anything like the people you are targeting, it is a clear signal that you have some work to do. It’s also a sign that you need to start sharing more content that your ideal customers will enjoy. When talking about followers and monitoring them, we can’t help but talk about bots and ghost followers. Because these are numbers in your follower count that are nothing more than empty shells, it’s important that you are aware that you have them (almost all accounts do) and how many they are. This will give you a better picture of how many people you can actually impact and convert into customers. Fake followers don’t necessarily do anything (except if you have bought them), however, they’ll increase your number of followers while never engaging with your posts, which means having a lot of fake followers can make your engagement low. 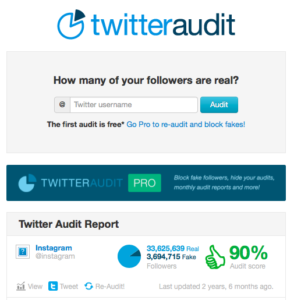 There are several tools you can use to get an estimate of how many fake followers you have, and again, which tool you choose depends on which platform you are using. By regularly monitoring your followers, you gain a ton of valuable information that can be used for improving your current social strategy and ultimately to generate better results. When you know more about your followers on social media, you can share more content that is relevant to them, and share posts at times that are more suitable for them as well. Are you monitoring your followers regularly? What information have you been able to obtain from it? If you aren’t, do you have any plans on starting?